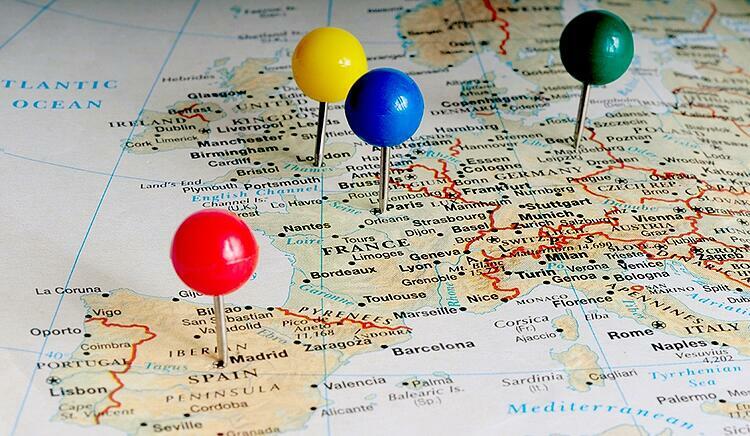 In my last blog, ‘Selling into Europe – First Steps’, we set out the need for core market intelligence to establish the key market data on paper. I suggested buying an air ticket early and then getting a direct first-hand feel of the market as an important part of this intelligence gathering phase. So with some good market data and in-country experience in hand, in this blog, we will explore the strategic options for building the market entry approach. 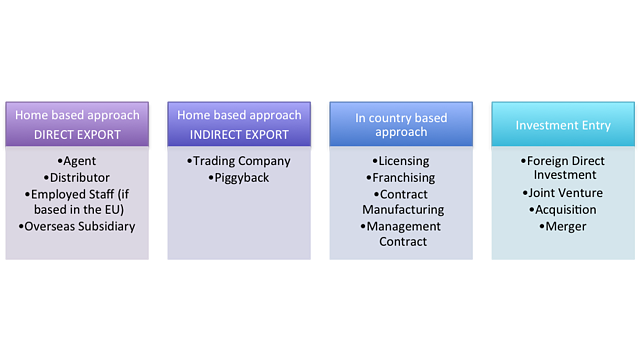 Broadly there are four overall approaches available - direct export from the home base - indirect export using some form of third party trading vehicle - an in-country approach using licensing, franchising or contract manufacturing - or finally an investment approach where you might join forces with a local player via a JV, merger or an acquisition. The following graphic sets out the options. My recommendation would be to harness the list through some objective scoring of each factor set against the different approaches available. 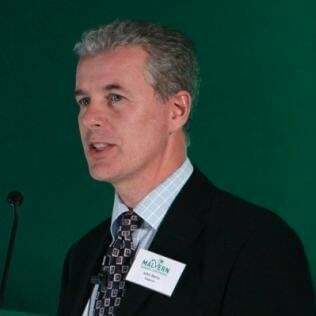 For example; if financial and time resources are limited, appetite for risk is low, the team are not very experienced at export and it is time critical to get a product launched in the country then I would investigate an Agent or Distributor model. This approach will allow you to get someone on the ground relatively quickly, put your toe in the water to test the market and will not involve much risk or cost. The downsides need to managed carefully, otherwise a budding and potentially lucrative international adventure could be snubbed out at the very beginning - simply by being in a rush and making the wrong choice of agent. 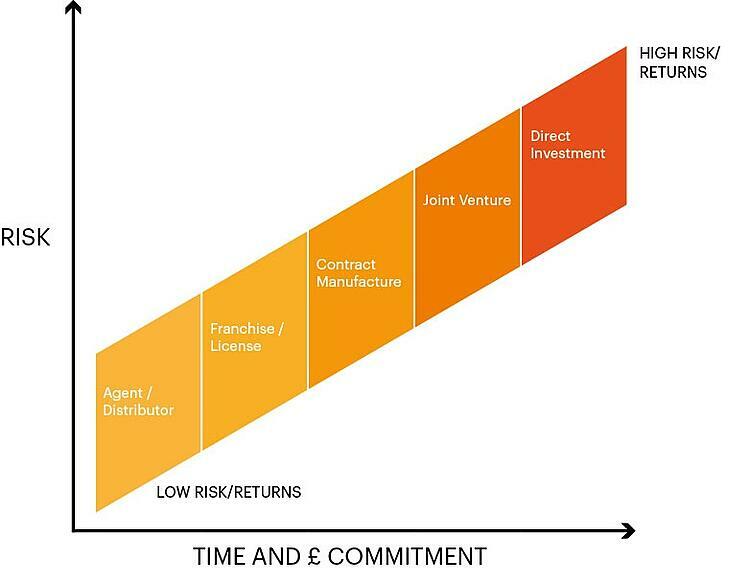 In terms of risk versus time and financial resources, the following graph is a helpful guide and illustrates the need for clear thinking and budgeting ahead of the strategic choice of approach.